Make Sourdough Pumpkin Muffins with your Discard sourdough starter. 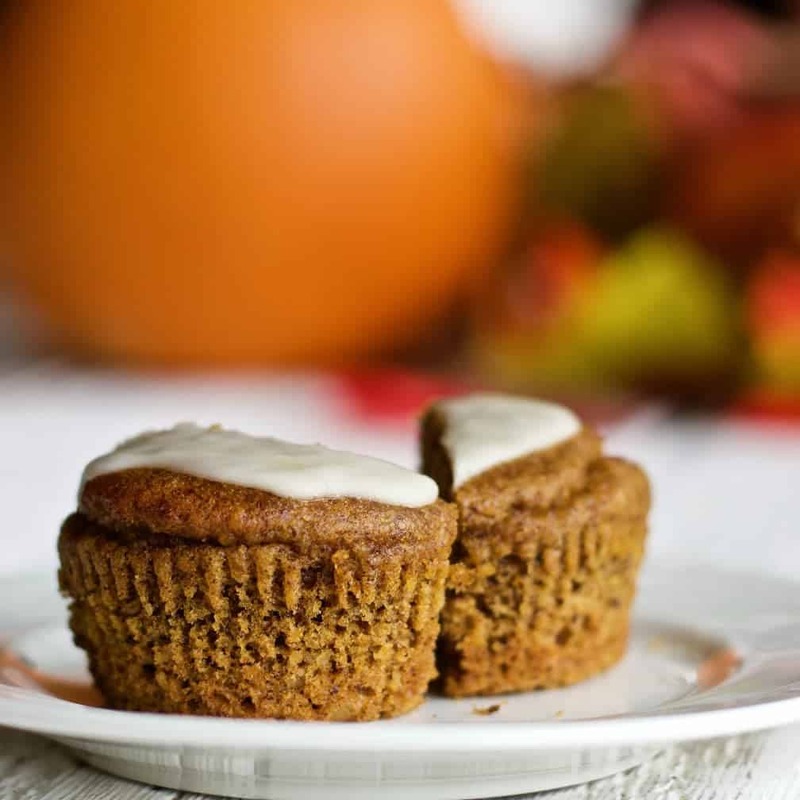 These pumpkin muffins are light, tender and flavorful! Create amazing pumpkin muffins for your family with that pesky unused discard. 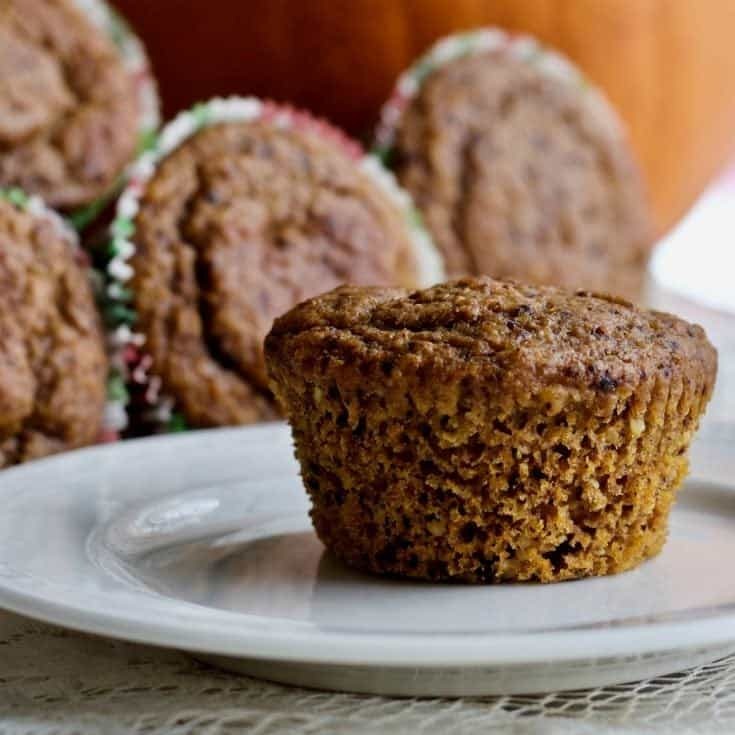 Sourdough Pumpkin Muffins are so light, tender and flavorful! This recipe uses up your extra sourdough starter and creates amazing pumpkin muffins. 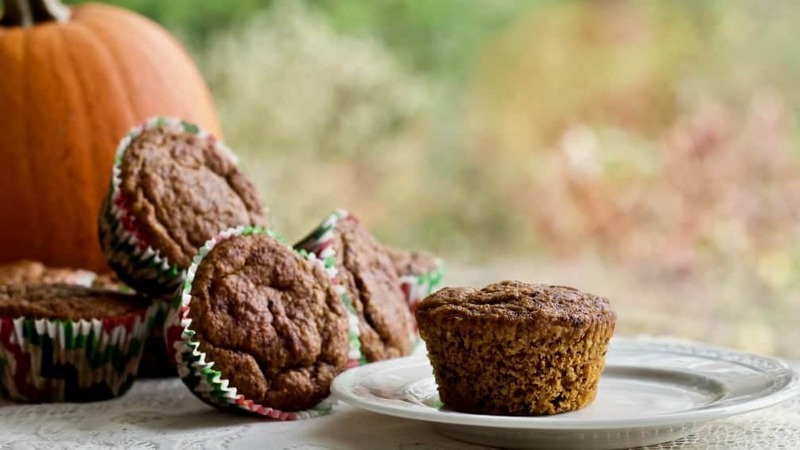 We love the moist springy texture and rich pumpkin flavor of these muffins. If you need to make a new starter try this Wild Sourdough Starter method. The extra boost in flavor and texture is amazing over commercial yeast starters. Wild yeast sourdough starter sounds so exotic. Capturing local yeast… Imagine me with my lasso corralling wild tiny yeasties. A better picture might be an alluring pot of flour and water sitting on my counter. For some reason wild yeast find that REALLY attractive and jump right in. And then they need feeding all the time. At which point I think maybe I’M the one that got captured, by wild yeastie slavers. They demand regular feedings with a LOT of flour and water. I’m rewarded (after many days of pouring ever more flour and water into the pot) with a bubbly brew just right for creating amazing breads recipes. We LOVE the breads I’m making with our wild yeast starter. But it comes at a cost. That forces a choice. Either I keep adding more jars of starter to my fridge (I wised up finally after I realized I would NEVER make that much bread). OR you throw it away except for one measly cup to continue feeding our yeasty slavers. Ouch! I hate throwing good food (I paid for all that flour) down the drain. We are now addicted to these gorgeous sourdough breads. I definitely need a discard starter strategy. Solution: Make LOTS of delicious carby foods with the discard sourdough starter. That is my current strategy. King Arthur Flour is my new friend in this endeavor. They have several sourdough discard recipes. But BEST of all they taught me how to create my own sourdough recipes (I linked the article at the bottom of this post for you). Sourdough Pumpkin Muffins are moist and tender. Shelf life is great too! I converted one of our favorite Homemade food Junkie recipes, Creamy Pumpkin Muffins to give this process a try. Adding starter means you are reducing the amount of flour and liquid in the recipe. This means I am actually net zero on all the flour I am going though when I make starter if I use it up in yummy recipes. I’m on a mission to use that discard. And one more thing…adding sourdough starter does NOT make the recipe sour. The flavor is a gorgeously intense pumpkin spice you will love. Promise. I have made these twice and fed them to company. Everyone loves them and NO one could taste any sourness. At all. Working with sourdough is teaching me about baking by weight rather than relying on the less accurate volume measurements most Americans are familiar with. Baking by weight is new to me. I’m getting hooked on it though. It’s easy to put your work bowl on the [easyazon_link identifier=”B01G2V2DIW” locale=”US” tag=”homefoodjunk-20″]digital food scale[/easyazon_link]and just add in the ingredients. Hit the tare button and add in the next. No running for measuring cups. And the recipe gives consistent results. Imagine. I will give you both weight and volume measurements for this recipe. My recipe world is spinning with new ideas. Hang on for MANY more recipes using sourdough starter. I’m in love with this stuff. Sourdough Pumpkin Muffins have an open texture from the starter. Sourdough keeps the muffins tender, moist and fresh longer too. I LOVE the spices in this recipe. With the sourdough a beautiful rich Fall muffin full of delicious pumpkin flavors and a gorgeous tender crumb results. This is a VERY easy recipe. The powdered sugar glaze is completely optional. My family says it’s not necessary and my two year old granddaughter actually prefers the unglazed muffins. So try one before you glaze. I like the extra bit of sweet to compliment these muffins and the holiday snow on the mountain look. TIP: Let these muffins cool COMPLETELY before peeling off the muffin papers. The paper releases much more easily once the muffins are cooled. The muffins and mini loaves can be frozen when kept tightly wrapped or in an airtight container for up to two months. In a large bowl, whisk together the flour, baking powder, baking soda, salt, cinnamon and pumpkin pie spice until combined. In a medium bowl, whisk the brown sugar and eggs together until combined. Whisk the pumpkin, oil, starter, milk, and vanilla into the sugar/egg mixture. Pour the wet ingredients into the dry ingredients and stir until just combined. Set aside. Bake the large muffins for 5 minutes at 425F degrees. Keeping the muffins in the oven, lower the temperature down to 350F and bake for an additional 10 minutes or until a toothpick inserted in the center comes out clean. Cool for 10 minutes in the muffin tin, then transfer to a wire rack to cool until ready to eat. For mini Muffins preheat oven to 350 degrees. Bake for 12 minutes until golden on top. For the mini loaves bake 25 to 30 minutes after you reduce the heat to 350 degrees as instructed for the large muffins until they pass the toothpick test. Add powdered sugar, vanilla and milk. Whisk together and adjust consistency to your preference by adding in either more milk or sugar as needed. The glaze will set up if left out in the air. If you cover the muffins with a lid (like a cake cover) the glaze will stay wet. Sourdough Pumpkin Muffins with the optional glaze (for a browner spicier glaze add cinnamon). 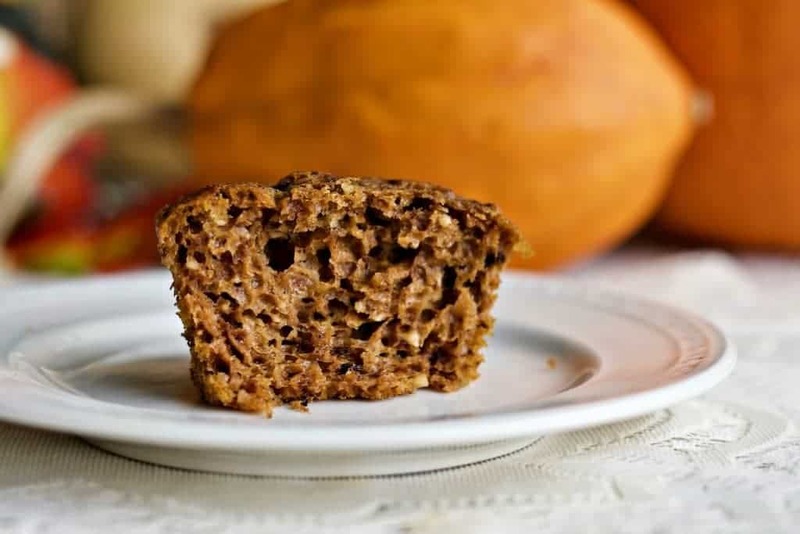 Adding sourdough starter to pumpkin muffins creates an incredibly tender moist crumb. 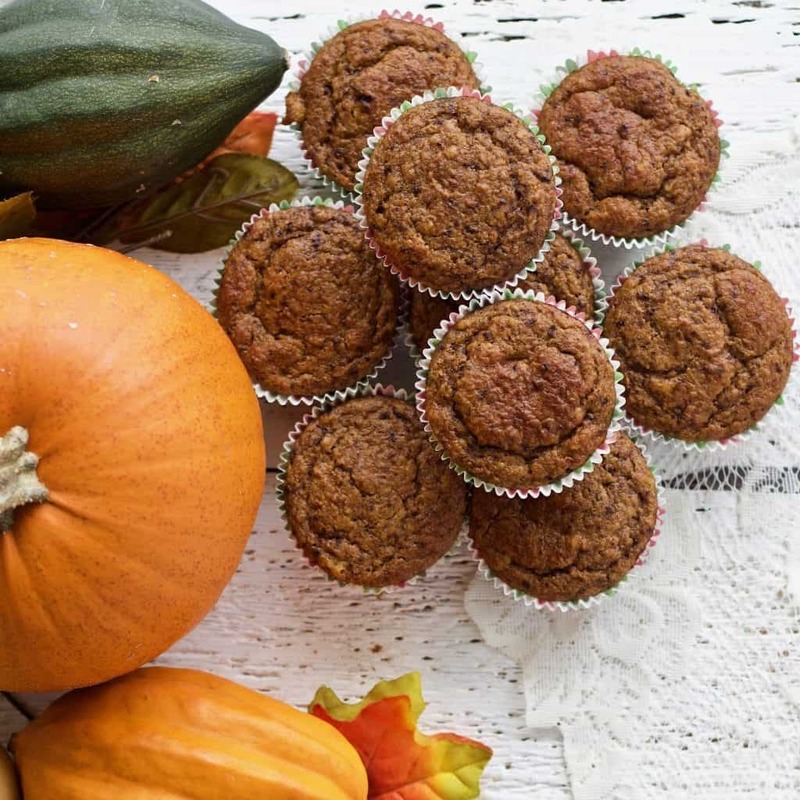 The flavor of these muffins is all pumpkin spice. Perfect For Fall. Pour the walnuts into your food processor (Or fine chop with a large knife). Pulse several time until the walnuts are a very small chop. Add the chopped walnuts to the muffin batter and hand stir until just combined. Pour the batter carefully into either greased or cupcake papered (preferred) muffin tins. This recipe makes 12 large and 24 mini muffins or some combination of the two sizes. Bake the muffins for 5 minutes at 425F degrees. Keeping the muffins in the oven, lower the temperature down to 350F and bake for an additional 10 minutes or until a toothpick inserted in the center comes out clean. Add powdered sugar, vanilla, cinnamon and milk. These muffins can be frozen in an airtight container when tightly wrapped. They will last several weeks up to two months in the freezer. Defrost at room temperature. Please note: Your starter consistency and how recently fed will both make a difference in how this recipe works for you. I originally used only 1/3 Cup flour for the starter consistency I used in the two batches I made with the results you see pictured. Others have needed more flour. Feel free to adjust the flour amount as best fits the starter you are using. The muffins will rise higher and be more cakelike with more flour. Looking for more muffin ideas? Good recipe! I liked it. But 1/3 of a cup is a typo. If you look at your measurements in weight, those are different than the volume measurements. 113 grams is not 1/3 of a cup. Hi Kelly, Thank you bringing this up. This recipe has gone through a couple of revisions. I will vet the ingredient weights. I’m glad you enjoyed the recipe. Happy holidays! Well first let me say I guess I goofed, i used 1 1/3 cups of flour. I read it several times and call me crazy but I read it as I can or I don’t have to. I did!!! I also chose to use the coconut oil what i did do different was use all purpose einkorn flour and using that I reduced the liquid by 20% I also chose to leave off the icing this is the best and I do mean the best muffin I have ate in a long time. I typically do not respond on recipes but this was just so good I had to. Hi Kathy, Thank you so much! I’m delighted you enjoyed this recipe and REALLY appreciate your feedback. I have yet to try Einkorn Flour. You have encouraged me to give it a try in these muffins. Thanks again and have a great day! Is the amount of flour correct? 1/3 C.? Yes, That is what I used. The starter makes up for the amount of flour you are used to in muffins. I’d love to know how it turns out for you. I have made them twice and they were delicious!